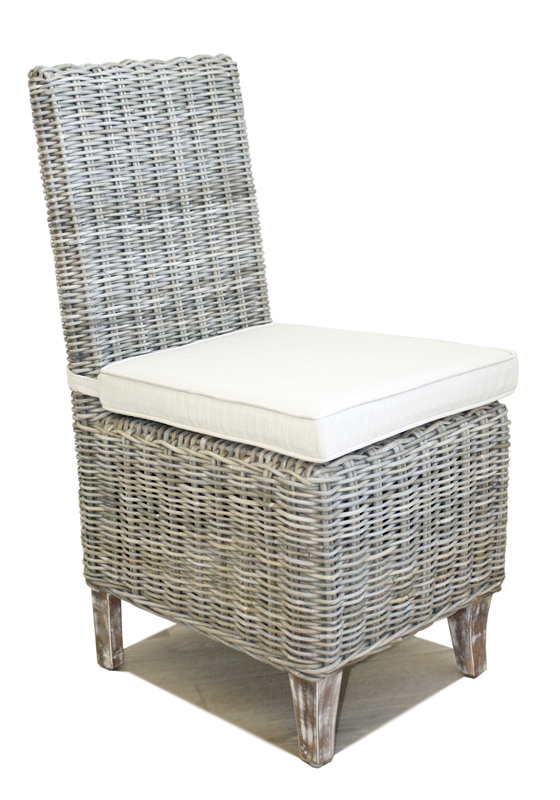 Our chambray dining arm chair comes with pine washed feet and an almond patina finish. 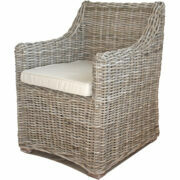 It's perfect for modern or traditionally styled homes due to the light colour and easy to maintain, strong structure. 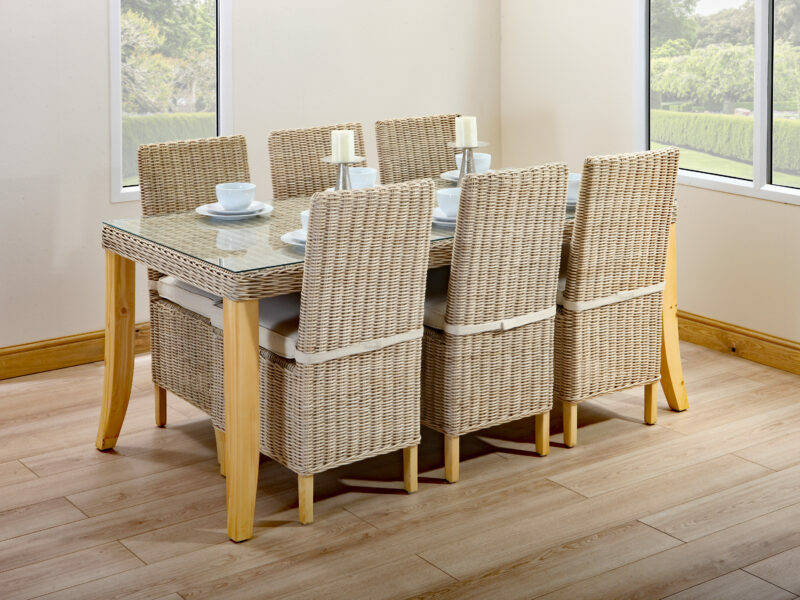 Perfect for families or those who like dinner parties, you can choose a combination of cushioning options to provide a firm or deep seat. 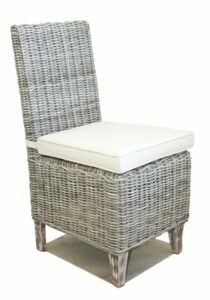 The traditionally styled chambray dining chair has an inviting high back that provides good back support. 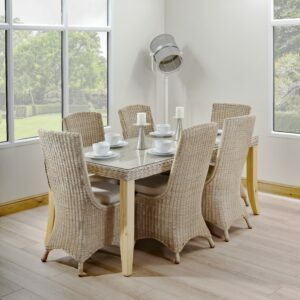 It's comfortable to sit in for long periods of time so there's no need to retire to the other room once your meal is complete. 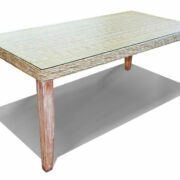 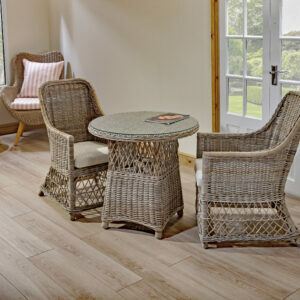 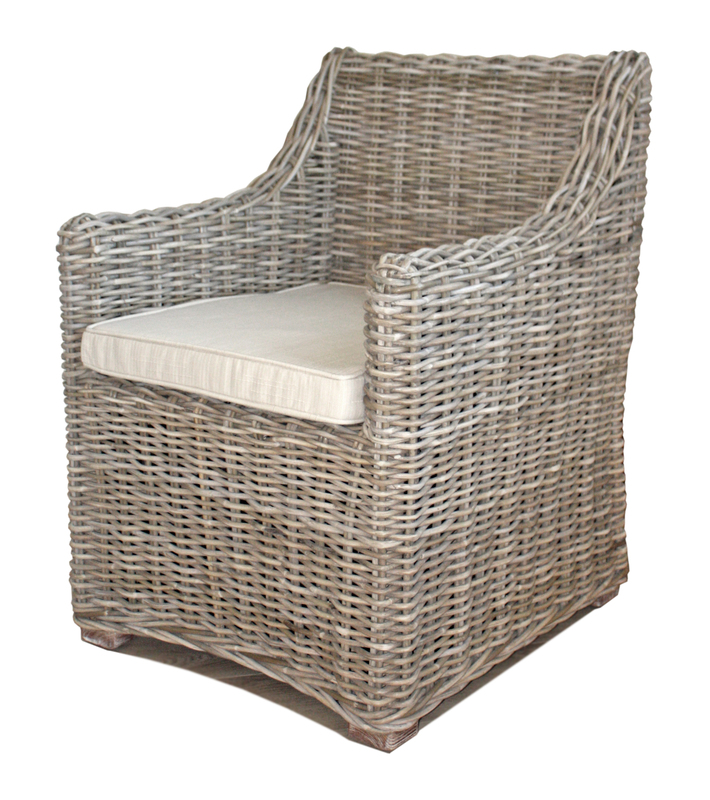 The elegant design and style is a result of the almond patina, rattan finish and the pine washed feet. 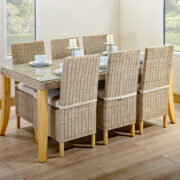 Our rectangular chambray dining table seats up to six guests comfortably. 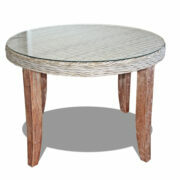 It's built with a solid wood frame and is finished in an almond patina colour. 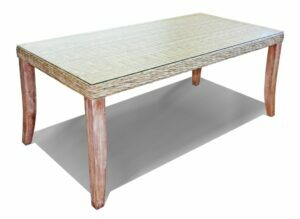 Due to the light colours and strong structure, you can add this table to modern or traditionally styled rooms without it looking out of place. 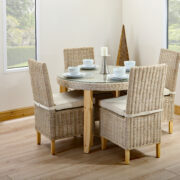 Enjoy a game of cards, after your meal, with the round chambray dining table. 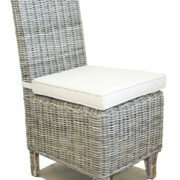 It seats up to four people and can be used in any room of the house. 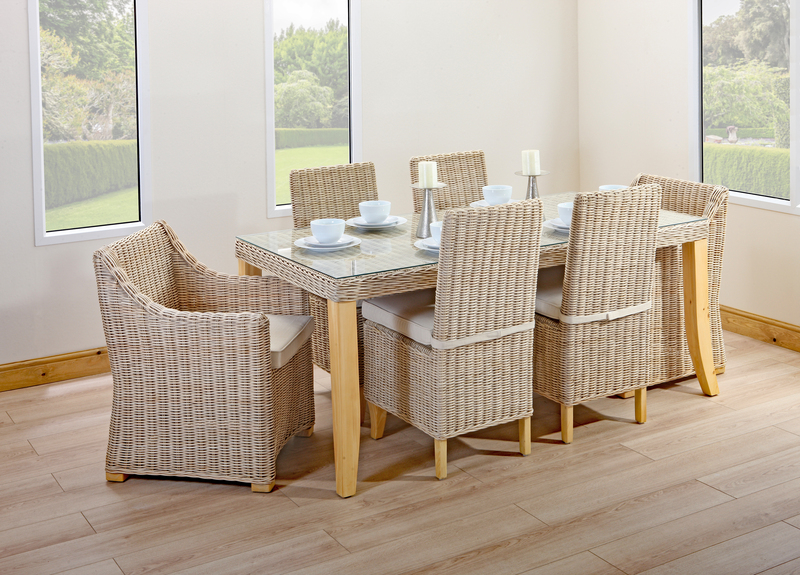 The elegant design and solid structure make it ideal for meals, socialising and family time. Finished in an almond patina colour and pine wood legs, the round chambray dining table is perfect for modern or traditional homes. 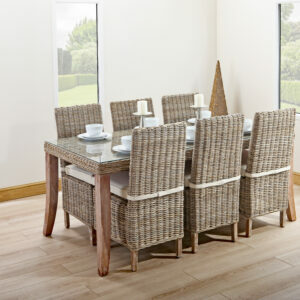 The chambray dining set, in almond patina, provides the perfect dining experience for two to six people. 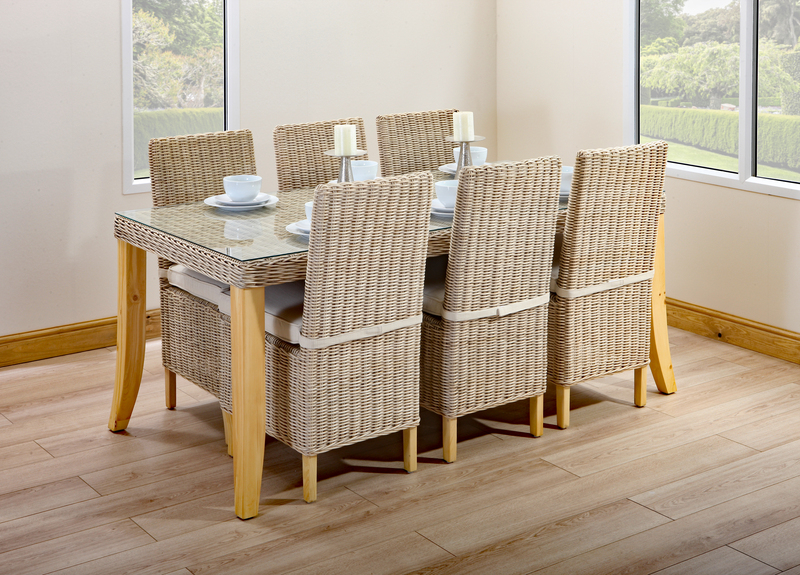 If you’re looking for a traditional design then combine the dining chair and rectangular table. 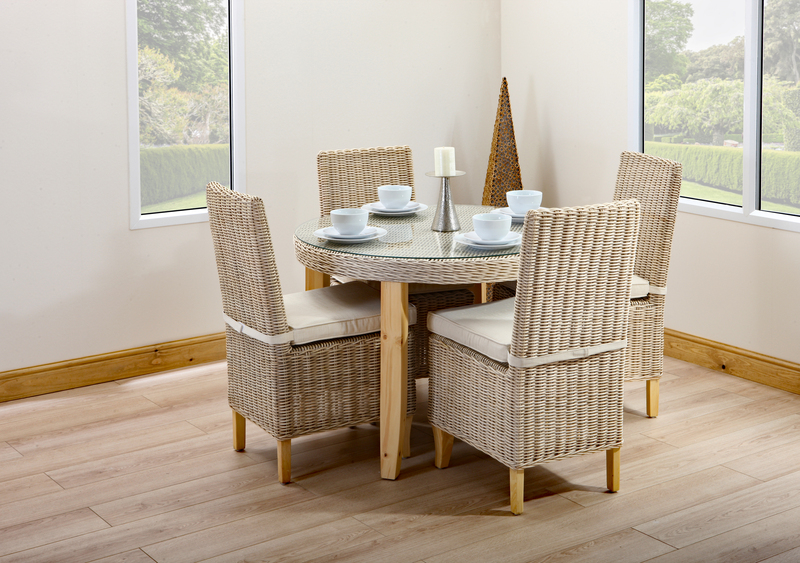 The high back gives the chair an elegant finish whilst providing good back support for the family and dinner guests. The rectangular table has a solid wood frame to give it a rustic feel and strong structure. 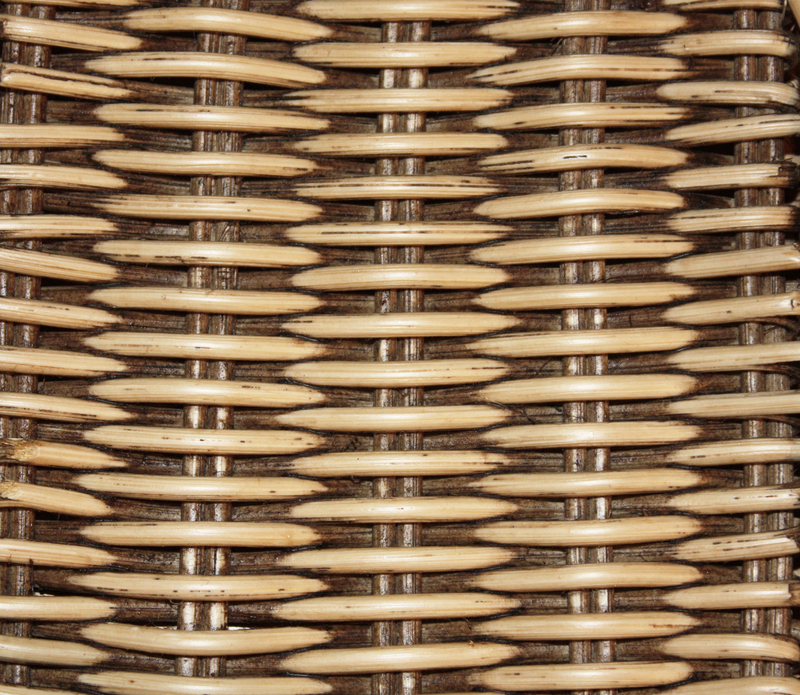 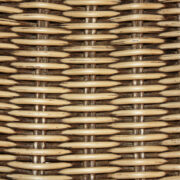 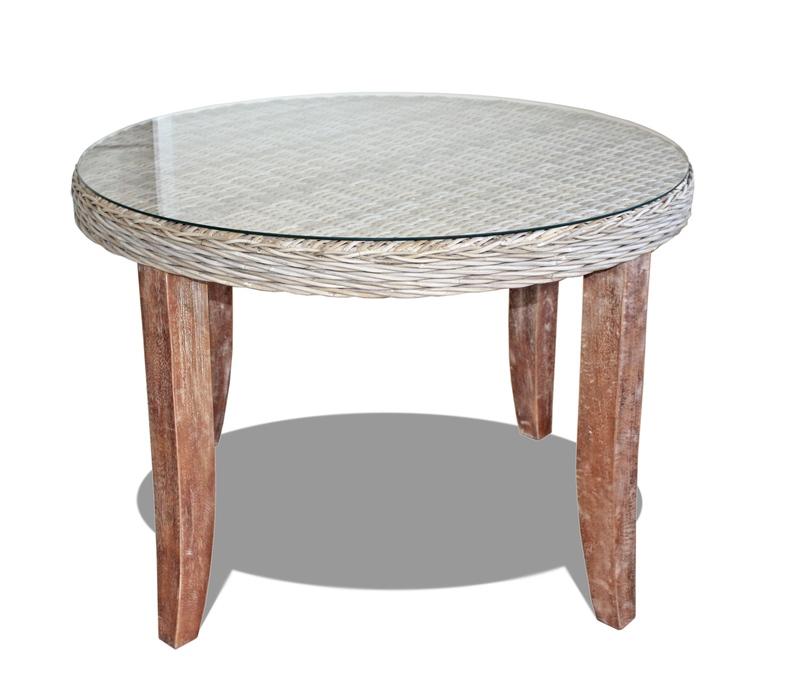 Both pieces of furniture are completed with woven rattan, making them easy to maintain. 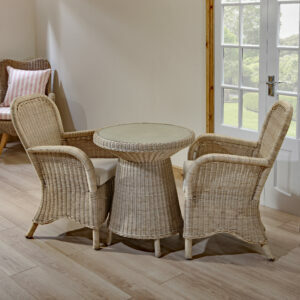 For a more intimate and relaxed setting, try combining the chambray dining arm chair and the round dining table. Comfortable armrests, and the option of deep cushioning, make the arm chair perfect for pre and post dinner drinks. 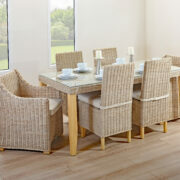 Enjoy your dinner continental style, by relaxing into the chair and enjoying a selection of foods on our round table.